Nowadays, PET bottles are being used in increasing numbers in our everyday life. The most common use of these bottles is as containers for water and soft drinks. 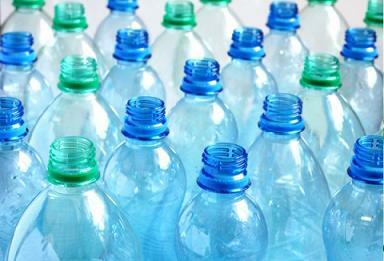 Millions of these bottles are used in Greece, especially during the warm summer months. Once a PET water bottle reaches the hands of the consumer, its lifespan is very short, as it is quickly consumed. Then, the bottle is usually disposed in a garbage bin or, sometimes, in a recycling bin. Unfortunately, many PET bottles every year end up in landfills or the sea bottom. However, PET bottles are very hard to decompose by natural means. It is estimated that, depending on the existing environmental conditions, it might take up to 450 years before a PET bottle is decomposed by natural means. In addition, bottles that end up in the sea bottom might break up into smaller pieces which could be eaten by animals, like birds or fish, thus polluting the food chain! Thus, the necessity for PET bottles recycling in a country like Greece is self-evident. PET Recycling's area of operation is Plastics Material Recovery and, specifically, Plastic Package recycling. Its main area of activities involves the recycling of PET packaging materials, like PET bottles for water and soft drinks, into flakes, which can be reused by the PET packaging industry.